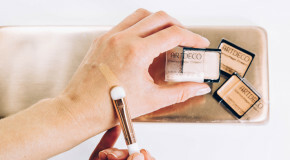 Dull, congested, flaking, or simply lacklustre, there have been many occasions where my skin has rejected all makeup, leaving me frustrated with a cakey looking base that just refuses to blend. 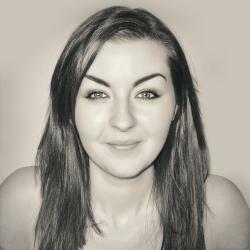 Whether the morning after a night out, when the temperature suddenly drops or if I’m run down, hormonal or simply not at my best, there are a multitude of reasons why my skin can act up. On such days I can only describe my skin as awkward. 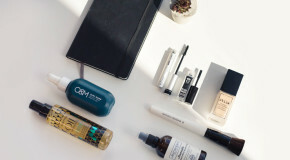 The (worst) combination of dry, chapped, oily and breakout-prone means that foundation is pretty much impossible to apply without first thoroughly scrubbing skin to slough away all patches and praying that it doesn’t turn tomato red and raw in the process. Or alternatively, I’ll hurriedly slather on a thick layer of moisturiser overnight in the hope of rehydrating, only to wake up to large, red breakouts, – the kind that refuse to budge all week. In an ideal world where everything goes my way, I would have smooth, blemish free skin onto which foundation can be buffed without fear of stirring up flaky patches. The kind of skin that allows for spontaneity and a minimal makeup bag. 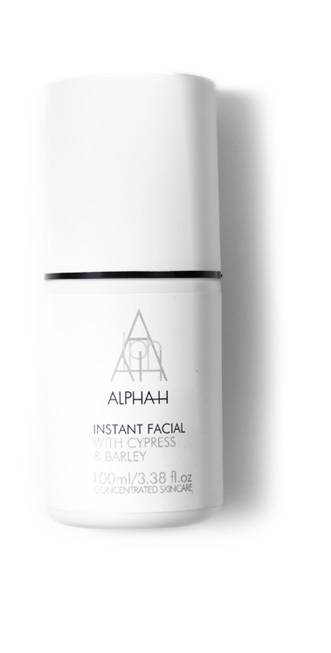 And thanks to Alpha-H’s Instant Facial, that world doesn’t feel quite so far away. 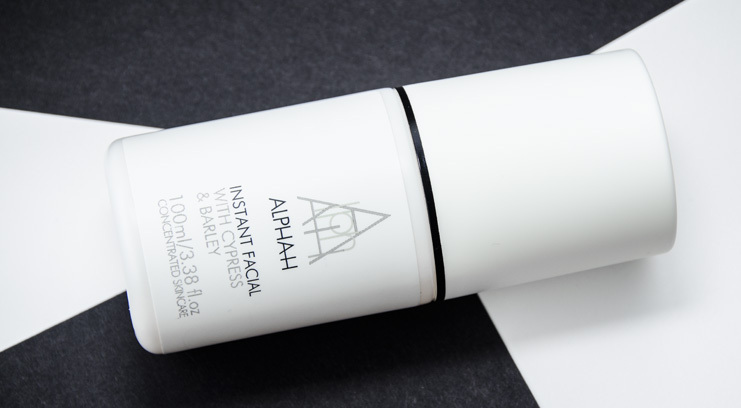 A non-abrasive, exfoliating treatment spritz that requires minimal added effort to my morning routine, Instant Facial was developed to give maximum results in minimal time. Boasting a highly active blend of ingredients to invigorate the complexion and work in tandem with the brand’s iconic Liquid Gold blend of AHA’s which smooth and brighten. Once skin is cleansed, I’ll sweep a cotton pad lightly dampened with the Instant Facial over skin and embrace the light tingle, whilst allowing a few seconds for it to fully absorb. Then I continue with my moisturiser and foundation application. Skin is miraculously smoothed, brightened and evened in tone and almost meets my ideal scenario.